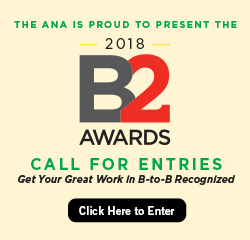 The only professional association in SE Wisconsin dedicated to providing B2B marketers with access to the resources, peer networking, and development opportunities to help achieve their goals and move their careers to the next level. Whether it is the appeal of an interactive morning workshop with concepts you can implement immediately or our thought-leading keynote series, the Milwaukee Chapter has a program to fit your needs. Students, we have you covered too. Our regional speed interviewing and résumé review events are part of the curriculum at several area universities. And let’s not forget about the fun we have. Our Bell Awards have become the premier celebration honoring the best of the best in B2B marketing across southeastern Wisconsin. To learn more, visit the Milwaukee website. To learn more about how to join the Milwaukee Chapter, contact us.